Simply for Growing Your Business! At Hunter, we are constantly developing tools to help you grow your business. With Grow to Go, you can build your business and earn chances to win exciting travel-themed prizes such as airline tickets, digital cameras, cruises, gift cards and even a trip to the Tokyo 2020 Summer Games! At Hunter, we are constantly developing tools to help you grow your business. Throughout 2019, distributor employees and their customers can grow with Hunter and FX Luminaire to enter to win cool travel-related prizes! At Hunter, we are constantly developing tools to help you grow your business. With Grow to Go, you can build your business throughout 2019 and earn chances to win exciting travel-themed prizes along the way! All you have to do is participate in the designated online Growth Tool each quarter to enter to win! Participate in the designated online Growth Tool each quarter to win travel-themed prizes. Growth Tools: Everyone Can Play! Each quarter in 2019, we will designate a specific Growth Tool to help you with business development, customer engagement, or product knowledge. Successfully utilize the designated Growth Tool before the deadline to enter the quarterly drawing. Participate in the Spring Growth Tool: Online Tools to enter to win 1 of 500 Hunter and FX Luminaire tiki mug sets! The free SiteRec app will help you close sales faster by allowing you to create professional irrigation system recommendations for your customers. The My List feature from FX Luminaire gives you the ability to build customized recommendation lists for your clients’ lighting needs. Utilize either the SiteRec app or My List feature this quarter to enter to win! Be sure to submit your entry form after usage. 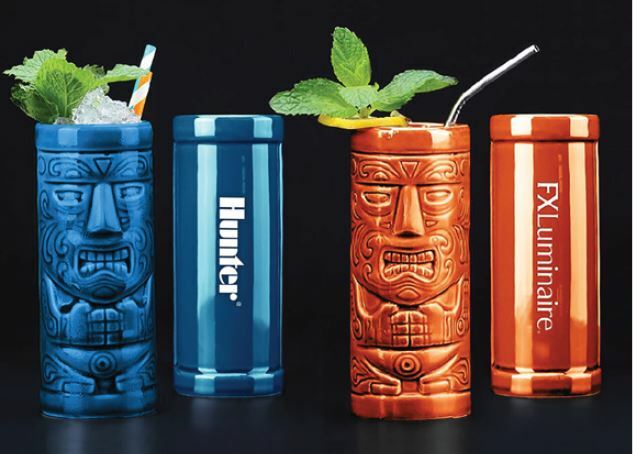 Participate in the Spring Growth Tool: Online Tools to enter to win 1 of 100 Hunter and FX Luminaire tiki mug sets! We have recently updated our CAD details on the Hunter and FX Luminaire websites. Any download of a CAD detail this quarter is an entry to win! If you download our Hunter CAD legend, you will get a bonus entry to win! Be sure to submit your entry form after usage. Participate in the Spring Growth Tool: Online Tools to enter to win 1 of 300 Hunter and FX Luminaire tiki mug sets! 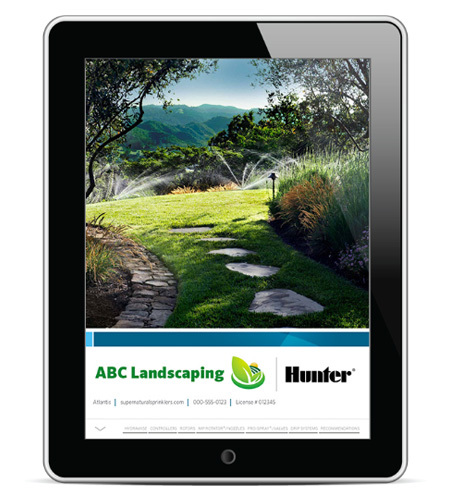 The free SiteRec app will help you close sales faster by allowing you to create professional irrigation system recommendations for your customers. 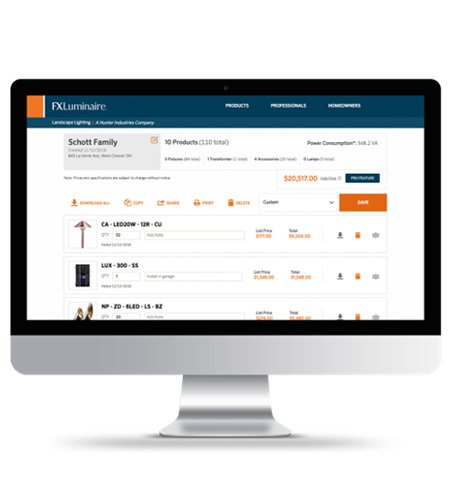 The My List feature from FX Luminaire gives you the ability to build customized recommendation lists for your clients’ lighting needs. Utilize either the SiteRec app or My List feature this quarter to enter to win! Be sure to submit your entry form after usage. Your customers can increase spending on Hunter and FX Luminaire products within the Hunter Preferred Program for chances to win amazing trips! 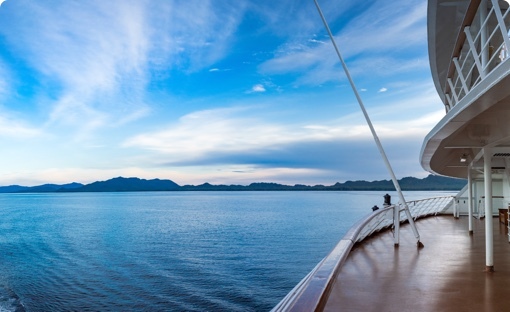 Active members who increase their quarterly spending over the previous year in Q1, Q2, and Q3 can enter to win a Growth Trip prize such as Alaskan cruise or a trip to Barbados. During these quarters, every $2,500 increase is an entry to win. 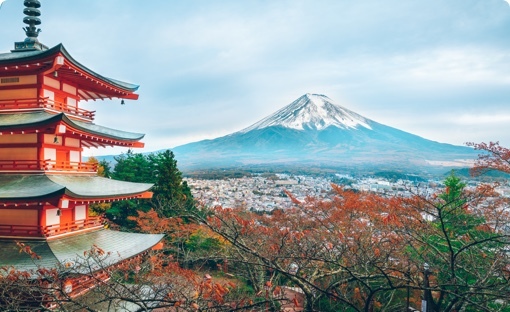 Active members who increase their annual spending by the end of 2019 can enter to win the Globetrotter prize to the Tokyo 2020 Summer Games! In 2019, every $5,000 increase is an entry to win. View Growth Trip prize chart below for the current list of prizes. Be sure your customers have active Hunter Preferred Program accounts. Most purchases are automatically recorded by preferred authorized distributors, but advise customers to monitor their points to ensure they are recorded. If you have any questions, contact us at preferred@hunterindustries.com. If your customers are not current members, they can sign up at preferred.hunterindustries.com/enroll. Cruise past some of the most stunning wildlife and scenery in North America, including the towering Hubbard Glacier and icy fjords of the Pacific Northwest. 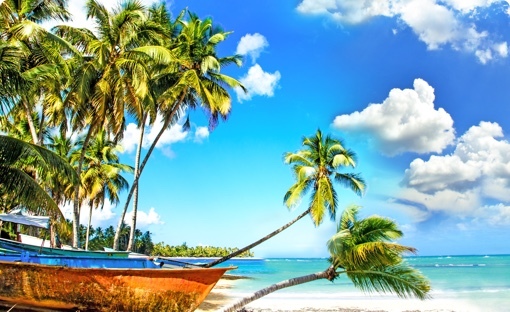 From George Washington to Rihanna, discover the diverse history of this tropical Caribbean island — made famous for being the birthplace of rum. 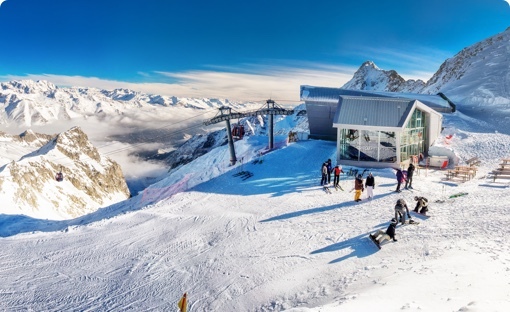 Nestled within White River National Forest in Colorado, Vail is renowned for its majestic slopes — perfect for skiing, snowboarding, and other winter sports. See the world’s best athletes compete for gold in the bustling city where historic temples and ancient traditions meet neon lights and futuristic skyscrapers! If I have previously utilized one or more of the specified Growth Tools, do I need to reuse them to enter the promotion? Yes. Many Hunter and FX Luminaire Growth Tools are regularly updated. Please be sure to follow the instructions to confirm your entry for the Grow to Go promotion. What if I miss the window for utilizing the designated Growth Tool? Refer to the chart for eligible entry dates. If you complete a specific quarterly task after the posted deadline, you will not be entered into the quarterly raffle. However, you can still participate in the next quarter’s raffle. How many Growth Tool prize winners will win each month? Prizes will be different each month and will be communicated quarterly. See the Growth Tool prize chart for the most up-to-date information. How many winners will receive a Growth Trip prize? There will be six Growth Trip prize winners: two in the first quarter, two in the second quarter, and two in the third quarter. Each Growth Trip prize winner will be allowed to bring one guest. How many winners will receive a Globetrotter Prize to the Tokyo 2020 Summer Games? One winner drawn at the end of the fourth quarter will receive the Globetrotter prize to the Tokyo 2020 Summer Games. The winner will be allowed to bring one guest. How will I know if I win a Growth Tool prize? After each raffle, we will notify winners using the email address listed in their Hunter training account. All winners will be randomly selected within 10 business days of the quarter’s end. See the online chart for dates. All winners must accept prizes within 30 calendar days of being notified. How will I know if I win a Growth Trip prize? After each raffle, we will notify winners using the contact information in their Hunter Preferred Program account. To allow time for receipt of purchase details and processing, winners will be randomly selected within six weeks of the quarter’s end. See the online chart for dates. All winners must accept prizes and submit attendee details within 30 calendar days of being notified. Can I win more than one time? Yes! Each quarter you participate, you can enter to win a prize. You are also eligible to win more than one prize. However, you can only win once per quarter. Successfully utilize each quarterly designated Growth Tools before the listed completion date to be eligible for an entry to win into the corresponding Hunter and FX Luminaire Growth Tools raffle. Participants can choose between utilizing the quarterly Hunter/FX Luminaire, Specifier, or Authorized Distributor Growth Tools before the listed completion date to be eligible for an entry to win in the raffle. Hunter Preferred Program members must increase their quarterly (Q1–Q3) or annual (Q4) YOY spending with Hunter or FX Luminaire for an entry to win in the Hunter and FX Luminaire Growth Trip raffle. Visit the campaign webpage and begin utilizing the designated quarterly Growth Tools. Hunter Preferred Program members must increase their quarterly YOY spending with Hunter or FX Luminaire in Q1, Q2, and Q3 to enter the corresponding Hunter and FX Luminaire Growth Trip raffles. Every $2,500 increase is in Q1, Q2, and Q3 will be considered as one entry to win. In 2019, members must increase their annual YOY spending with Hunter or FX Luminaire for an entry to win the Globetrotter prize. Every $5,000 increase will be considered as one entry to win. For quarterly Growth Tool prizes, a Hunter Industries representative will mail each winner’s prize to their given address. For Growth Trip prizes, each winner can choose between one of three Hunter-hosted trips if they win in Q1; or one of two Hunter-hosted trips if they win in Q2 or Q3 (this is because the first trip deadline will have passed). The Globetrotter prize is excluded. The winner of the Globetrotter prize will win a Hunter-hosted trip to the 2020 Tokyo Summer Games. No prize is redeemable for cash (unless required by law) and no substitute for any portion of any prize will be offered. Growth Tool prize winners must accept a prize within 30 days of being notified. Growth Trip prize winners must accept prizes and submit attendee details within 30 calendar days of being notified. If any winner cannot accept a prize before the given deadline, the prize will be forfeited. Refer to the Growth Tool and Growth Trip prize chart for raffle and prize information. For the quarterly Growth Tool prizes, Hunter Industries will randomly choose winners. The number of winners will be dependent on the prize selection for that quarter. For the Growth Trip prizes offered in the first, second, and third quarters, Hunter Industries will randomly choose two winners, for a total of six winners. For the Globetrotter prize offered in the fourth quarter, Hunter Industries will randomly choose one winner. Additional prizes will be given out each month. Growth Tool prize raffle drawings will take place on 4/1/2019, 7/1/2019, 10/1/2019, and 01/02/2020. All raffle entries must be submitted by 11:59 PST/PDT the day before the designated raffle drawing dates. At the end of each business quarter (4/1/2019, 7/1/2019, and 10/1/2019) at 11:59 PST/PDT, the entries will be cleared. Raffle winners will be notified via the email address provided in their Hunter account. Growth Trip prize raffle drawings will take place on 5/15/2019, 8/15/2019, 11/15/2019, and 02/15/2020. All raffle entries must be submitted by 11:59 PST/PDT the day before the designated raffle drawing dates. At the end of each business quarter (4/1/2019, 7/1/2019, and 10/1/2019) at 11:59 PST/PDT, the entries will be cleared. Raffle winners will be notified via the email address provided in their Hunter account. If a raffle winner fails to claim a prize or fails to inform Hunter Industries of their inability to claim the prize before the deadline, or is otherwise determined to have failed to comply with the raffle rules, then their entry will be forfeited, and Hunter Industries reserves the right to award the raffle prize to another entrant, at its sole discretion. Hunter Industries reserves the right to delay the announcement of any raffle winner, at its sole discretion. HUNTER INDUSTRIES HAS THE SOLE AND ABSOLUTE DISCRETION TO ADMINISTER AND CONDUCT THE RAFFLE AND RAFFLE DRAWING AND ALL DECISIONS REGARDING THE ADMINISTRATION AND CONDUCT OF THE RAFFLE WILL BE FINAL. All prizes will be awarded to the individual whose email is listed on each winning entry. The responsible party of the company can designate the prize to any of their employee(s). If there is no established company on a winning entry, the individual purchaser will be awarded the prize. Participants can only win one Growth Trip prize in 2019, but can win multiple Growth Tool prizes. Hunter employees and immediate family members are ineligible to win. Entrants must be 18 years of age or older to participate. Winners must be citizens or legal residents of the United States, Puerto Rico, or Canada. Distributor participants must be employed at authorized Hunter or FX Luminaire distributors. c) Acknowledge and agree that the winner releases Hunter Industries, and all of their directors, managers, officers, employees, and agents — as well as their respective advertising and promotional agencies (collectively, the "Releasees") — from any and all liability arising in connection with participation in the raffle and acceptance of any prize, including, without limitation, any financial, legal, or moral responsibility or loss or personal injury, including death, or damage to or loss of property suffered or incurred or arising from participating in the raffle or accepting the prize, whether suffered by the prize winner, or by their heirs, administrators, personal representatives, or executors, and notwithstanding that such injuries or losses may have been caused solely or partly by any act, omission, negligence, or gross negligence of any or all of the Releasees. In the event a raffle winner is unable to provide any of the foregoing for any reason, then Hunter Industries may, at its sole and absolute discretion, disqualify the raffle winner and award the prize to an alternate entrant. Except where prohibited by law, names and/or likenesses and quotes of winners may be disclosed to and otherwise used by Hunter Industries for publicity purposes and in lists of prize winners to be published in emails, social media, printed materials, and on the web. By entering the raffle and voluntarily providing personal information including, but not limited to, name, address, city, email address, photos, and home and office telephone numbers (the "Registrant Information"), each raffle entrant grants permission to Hunter Industries for the collection and use of the Registrant Information for the purpose of administering the raffle and selecting the prize winner(s). This raffle is void where prohibited by law and is subject to all federal, provincial, state, territorial, and municipal laws and regulations of the U.S., Canada, and Puerto Rico and of each state, county/parish, territory, and municipality, respectively. All federal, state, territorial, and/or local tax consequences and liabilities are the sole responsibility of the winner of any and all prizes. Hunter Industries reserves the right, in its sole discretion, to disqualify any person who it finds to be or suspects to be (a) tampering with, or attempting to tamper with, the entry process or the operation of the raffle, or (b) acting in violation of the official rules, or with intent to abuse, threaten, or harass any other person. The official rules can be viewed online at www.hunterindustries.com/growtogo and in person at Hunter Industries Inc., 1940 Diamond Street, San Marcos, CA 92078. For a printed copy of the official rules, please send a self-addressed, stamped envelope to: Hunter Industries Inc., 1940 Diamond Street, San Marcos, CA 92078 (Attn: Marketing Department, Grow to Go Raffle). Hunter Industries’ interpretation and application of the rules and regulations shall be final.